According to now-retired USAF Technical Sergeant John W. Mills III, the events described below occurred in very late December 1978, or early January 1979, outside of Ellsworth AFB, South Dakota, at one of the base’s remote Minuteman missile launch facilities. At the time, Mills was an airman assigned to the 44th Organizational Missile Maintenance Squadron (OMMS) and a member of a missile targeting team. In short, John W. Mills III was hard-working, an expert in his field, and highly-rated by his superiors. Even so, he was not prepared for what he experienced one night while working in Ellsworth AFB’s missile fields. In many ways, it would change his life forever. The RMAD procedure is very sensitive to vibration. Our guard, who was topside, suddenly started banging on the ladder. We were screaming, ‘No, no, no! Don’t ever do that! Now we have to reshoot the set!’ But he kept banging on the ladder and started screaming at us. He said, ‘You’ve got to get up here now! Either you come up or I’m coming down!’ Well, the cops were never allowed below grade. So, my team chief and I went up the ladder, really frustrated. We were screaming at this kid. He said, ‘You tell me what’s going on here!’ It was then that I noticed this low-frequency hum. I don’t know what it was—I’ve never heard anything quite like it. It wasn’t like a hum from machinery. It was coming from everywhere. It was loud! You could feel it on your skin. It permeated everything—you could feel it inside you. You could feel it in your teeth. It was like a microwave except it wasn’t heating you up. You could feel it vibrating off the [Launch Facility’s] access hatch. The truck [parked next to the access hatch] vibrated. You could feel that reflecting onto you. We asked the kid, ‘When did this start?’ He said, ‘Five minutes ago.’ He told us he had already called the Flight Security Controller and reported the hum. He thought the [missile site’s] diesel generator was breaking down and had reported it. According to procedure, the FSC should have called the crew in the [Delta Flight launch] capsule and then they would have called us. But that didn’t happen for some reason. Instead, the cop was apparently told to contact us directly. That’s when he started banging on the ladder. So, we went upstairs, really angry about the RMAD being ruined. Then we heard the hum too. We thought there had to be a logical explanation. At first, we agreed with the cop that something had gone wrong with the generator. By now, we’re ready to kill this kid. He said, ‘Follow me.’ We walked to the north side of the site and went up to the gate. You could hardly hear yourself think, because of the hum. Then we saw it. There was a straight-edge in space. On one side, there were stars, on the other side, it was black. That floored us! But again, we were trying to be logical, you know, maybe some idiot parked a barrage balloon above the site. Looking back, I was thinking really stupid things, trying to explain this thing we were seeing. But we weren’t scared. We were just puzzled. We went out of the gate. Now that we’re talking about all of this, it occurs to me that we couldn’t hear the hum once we opened the gate and walked off-site. It wasn’t outside the site, at least it wasn’t as loud. I seem to recall hearing my boots crunching through the snow once we were outside. And I think I was talking to Lt. ------ and the guard. Huh, it just dawned on me that I had forgotten that until now. But on the site itself, you couldn’t hear yourself walking through the snow, and you could barely hear each other talking—all you heard was the hum. Anyway, [once we were outside the gate], we walked along the edge of this dark thing to its end. There was a corner, where the edge turned and went another direction. It wasn’t 90-degrees, it was maybe 60- to 70-degrees. But it was a hard corner. So we turned left and followed that edge. By now, we were about 80-feet west of the entry road. Well, we kept walking and followed that edge to the end, which was back over the site. Of course, by now, we knew it wasn’t a cloud, but you could not see what it was! We turned at that corner and walked, maybe a hundred feet, until that edge turned a corner. I do remember walking to the north side [of the site], and exiting the gate, then heading west, south, east and returning to the gate to get back in. Anyway, the object was not a triangle. It looked like it was four-sided, like a parallelogram or a rhombus [which is diamond-shaped]. But you couldn’t tell how high it was. So, we went back on the site and closed the gate. By then, the noise was deafening. Still, we weren’t scared, just perplexed and maybe apprehensive. We had heard rumors about UFOs, and we had heard that people had been discharged for reporting them. I began to wonder if it was some kind of SAC exercise. If it was, we were in trouble. You are not allowed to go off-site, and we had walked out the gate. So, I was concerned we would get in trouble. As I listened to Mills’ account, it seemed to me that his thoughts and behavior that night were strangely inappropriate for the situation at hand. While his attempt to comprehend the object in familiar terms is perhaps understandable, his relative lack of fear struck me as bizarre. Given the looming, even menacing presence of the dark shape hovering overhead, and the increasingly oppressive humming sound, one would think that he would have been far more concerned, if not completely terrified. And yet—although the guard was apparently very frightened—Mills and his Combat Targeting Team partner were basically going about their business in a relatively calm and orderly manner. This may seem strange but we figured, well, this thing is not hurting us, so we walked back to the personnel access hatch [to go down into the missile silo]. As I was about to descend the ladder, the lights went out. The topside lights, and the lights downstairs. Then the truck quit. We always let the engine run in winter, the whole time we were working, so we could leave the site when we were finished. The Air Force-issued batteries were terrible. We always had the guard run the truck for 15 minutes, turn it off for 15 minutes, and then run it again, the whole time we were on site. When the truck suddenly died, the guard tried to call the LCF on his radio. It didn’t work. We got flashlights from the truck and they worked. We figured the back-up generator would kick-in and get the lights back on, but that didn’t happen. There are tertiary batteries down in the Launcher Equipment Room, if the generator doesn’t work, to keep the site up, but the site was dark. By now, we were more than perplexed. We were freaking out. But not because of the object—we figured we were going to be in trouble for having a site drop-off alert while we were on it. We tried to start everything back up but couldn’t, so we went back upstairs. When we got back outside, the humming had stopped. But the object, whatever it was, was still above us. Then—I don’t know how much later, five minutes, thirty minutes, I don’t know—the lights came back on. The generator started cranking. That’s when I noticed that the object was gone, and you could see the stars overhead. We never saw it leave. We went back downstairs. The site was down. As far as I could tell, it was a G&C (Guidance and Control) No-Go. I got my control monitor and cable set and began a [missile] start-up procedure. That’s when the [LCF] called. They were screaming at us. They said, ‘What did you guys do? !’ We told them, ‘We didn’t do anything, the site just lost power.’ We didn’t mention the object. We told them that we would get the site back on line, and we had to finish our RMAD. By now, Job Control had called and they were screaming at us. We were long overdue to leave the site and proceed to the next one, to do the RMAD on that one, so we figured they were upset about that. But Job Control said, bring the site up, finish your RMAD, but as soon as you’re finished, we want you back on base. We went, ‘Uh oh.’ We began getting our story straight right then: We didn’t see anything, we didn’t know anything. The site just lost power. So we went back to the base. On the way, we told the cop, ‘This is how we’re going to play it—we didn’t see anything...’ and so on. He said, ‘Okay. I understand.’ When he called the FSC to report the hum, he’d said that he thought the generator was acting up. He hadn’t seen the object overhead yet, so he never mentioned it, thank God! There were two other targeting teams out that night, at Echo Flight. Lt. ------ headed up one of them. I forget the name of the officer on the third team. They had been called in too and we all got back to base around the same time. We talked with the other teams, before we were debriefed. We found out that Lt. ------’s team had the same problem we did. They were doing RMADs over at Echo Flight. They told us that they saw something [directly above their site] and what they described was very similar to our something. They had an identical experience. Their lights went out, their site went off alert. The third team saw something too. Now, after we dropped-off our equipment, we went back to the [missile maintenance] hanger. The entire building was full of people. There were colonels—we didn’t have a general on the base at that time—but the missile Wing Commander was Ralph Spraker. He was there. Colonel Stone, the Deputy Commander of Maintenance was there. My commander, Fenimore, he was there. [The targeting teams] were all divided and conquered. They separated the enlisted men from the officers, they put us in separate rooms and they told us to fill out a report—an official inquiry—of what went on. That way, you can’t get your story straight, unless you already got it straight [before you arrived]. I filled out the report, about what we didn’t see. I gave my statement, my team chief gave his, and I guess the cop gave his. So, for the record, we didn’t see anything. But [I later learned that] Lt. ------ and his team told the truth. They said they saw something, and heard something. They said they didn’t know what it was, but they admitted that something [unusual] had happened. His team was told, ‘Keep your mouths shut.’ They signed a national security agreement—agreeing not to talk about the incident. So, they signed their statements and went about their business. But Lt. ------ got passed over for captain. He was in the reserves. Ordinarily, if reserve officers did well, they would be promoted. But ------ was passed over. He had an absolutely splendid record. Nobody had a bad word to say about him. But he was history. The [third] team—they were new and I didn’t even know their names—they also admitted that they saw something, I don’t know, maybe it was just lights in the sky, but they were bragging about it. Well, they were gone. Twenty-four hours later, they were gone [from Ellsworth]. We never saw them again. We didn’t know what happened to them. Me, I kept my mouth shut and got my career and retired. [My temporary team chief] is still on active duty. The last I heard, he was a full colonel. We kept our mouths shut. We made it, the other teams didn’t. 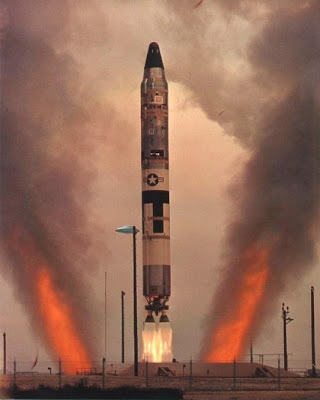 Mills continued, “But later, after this had settled down, these two officers approached me—they were former Combat Targeting officers—who told me that all of Echo Flight had gone down that night, and part of Delta [Flight] went down, even Delta-1, which was the squadron command post for the 66th [Strategic Missile Squadron]. Noted Ufologist 'Robert Hastings', Expresses Dismay at the Public Narcosis Regarding UFO Sightings at Military Installations!